These volunteers work very hard in the background and deserve huge thanks. Photocopies: Special thanks to Bethany Ayala for making thousands of copies for the PTA. All the PTA single sheet flyers that are sent home are photocopied by a PTA volunteer. If you can help make copies, send an email to gatespta@gmail.com. It's a big job that is easy to do and takes approximately one hour of time per flyer. Translators: All of the PTA flyers are translated into Spanish. Special thanks to these parents who volunteer to help with this important job: Silvia Ritterling, Cesilia Vega, Maria Corrada, Claudia Weaver and Mariana Bello. Minutes: Bobbie Cunningham, PTA Secretary, takes the meeting minutes for the executive board and general PTA meetings. Finance: Elizabeth Rose, PTA Financial Secretary makes deposits for PTA. Maria Corrada, PTA Treasurer, keeps the financial records in order and has been busy completing the PTA income tax return which is a huge job. Publicity: Julissa Salamanca, PTA Webmaster, promotes and keeps us informed of events on Facebook and on the Gates PTA website. Parliamentarian: Francia Docheff will coordinate the Nomination and Election of the Nominating Committee members whose job it is to put together a slate of qualified board members for the 2017-2018 school year. Email Francia at parlimentarian.gatespta@gmail.com if you are interested in holding a board position next year. Link to list of PTA board positions. Grants: Ryan Zinn, Grants Chair, completed and submitted a Healthy Lifestyle grant and a Cultural Arts grant on behalf of Gates PTA in October. If they are approved by California State PTA, we will receive additional funds for Art Masters and the Kids Run the OC Program. Safety: Viviana McKeegan booked the Emergency Preparedness presentation for our November 15 general meeting. There will be an adult presentation at 7pm and one customized for our children at 7:30pm. Since we live in an earthquake zone, I highly recommend attendance at this meeting to learn how you can be ready. Meeting agenda provided below. Principal: Ms. Estling, PTA board member, is called on by PTA so many times to approve events, flyers, Konstella notifications and takes time out of her personal schedule to attend executive board meetings, general meetings and PTA events. Congratulations to the families that participated in the Catalog Fundraiser held from October 3 to 14. Catalog sales totaled $39,362.00 ($34,414 paper order forms + $4,948 online orders). Our goal was $38,000.00 and we exceeded it. Well Done!!! We will know the net amount raised once we receive the product invoice from the catalog company. The funds raised will support the PTA programs provided for our children. Huge thanks to Andrea Merchant for chairing this program and the volunteers who helped process the orders: Andrea Merchant, Dolores Wirth, Bernice Chen, Robin Schnell, Nancy Norris, Natalie Paffrath, Diana Zamora, Jezette Luster, Keira Merkovsky. Delivery date of product and prizes to be announced soon. The art work has completed the Gates judging step with 8 that have been selected to move onto the Saddleback Valley PTA Council judging level. Thank you to our chairs for running this program: Erin Foellmi and Acecy Buensuceco can be reached at reflections.gatespta@gmail.com. Awards ceremony to be held in the Spring. Details to follow. Art lesson #2 focused on Native American Art. Thank you to all of the parents who came out to volunteer in the classrooms during the 1 hour lessons and huge thanks to our chairs, Katie Ryan and Bobbie Cunningham who work with Ms. Estling to put together the assembly and in class lesson schedules and prepare the art supplies needed for every lesson. Wristband sales will were held on Tuesday, October 11 and Thursday, October 13. 255 wristbands were sold at $15 each with Gates raising $1,275.00. My 6th grader had fun hanging out with his friends at the pumpkin patch. It was so nice to see parents and their children enjoying a fun evening out. This event is like an amusement park that's really close to home. Thank you to Michelle Mendoza for chairing this fundraiser and to those who helped with wristband sales: Donna DeManty, Lori Hall, Yovanna Medina, Sandra Galindo, Julissa Salamanca, Maria Mujica, Angela Munoz. Before or after the pumpkin patch, families had an opportunity to dine at Ruby's Diner in the Laguna Hills Mall. The restaurant will be giving Gates 20% of the proceeds. Thank you to Michelle Mendoza and Sonia Maceranka for planning this dine out and to all the families who supported this fundraiser. The testing was on Thursday, October 20. Thank you to our volunteers (Nancy Norris, Bernice Chen, Jezette Luster, Bernice Torres, Kelly Christians, Olivia Kasa, Brenda Thompson, Diane Zamora and Lucy Kaneshiro) who did an awesome job in keeping the children organized and moving smoothly through the 2 tests and staying on schedule even with a Disaster Drill that happened that morning. On Thursday, November 3rd, we had a family dine out at CPK. In thanks to all of the families that participated we raised $252.89. The class that had the most participation was Ms. Aguilera-Martinez' class and each child was awarded a free child's meal certificate. Thank you to Sonia Maceranka for planning this dine out and to all the families who came out to support this fundraiser. Art lesson #3 will focus on the art of Joseph Raffael. Assembly scheduled on November 7, Monday, and art classes on November 14, 15, 17 and 18. The volunteer sheet has been sent out so check your schedules and sign up if you are available. Link to volunteer sign up. 7:00 pm to 7:30 pm - MPR - Emergency Preparedness presentation by Alexa Pratt, Education Specialist from Orange County Fire Authority. Thank you to Viviana McKeegan, Safety Chair, for booking this presentation for us. Friday, December 2 - Book Fair set up from 12:35 pm to 4:00 pm - Help needed. With every $10 purchase, you will receive a raffle ticket for a chance to win Scholastic Book Dollars (which means free books for you). Raffle drawings will be every 30 minutes starting at 6:00 pm! Thursday, December 8 - Book Fair open from 8:00 am to 3:30 pm. Last Day of Fair. Book Fair Chairs: Brenda Thompson and Nancy Norris can be reached at bookfair.gatespta@gmail.com. December 1, 2016, Thursday - 1 hour passes will be $15.00 and can be redeemed between the hours of 1:00 pm to 9:00 pm. 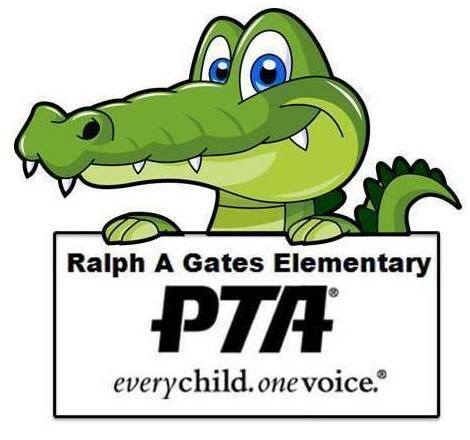 Gates PTA will receive 50% of all passes sold. Flyer with details to be sent out week of November 14.